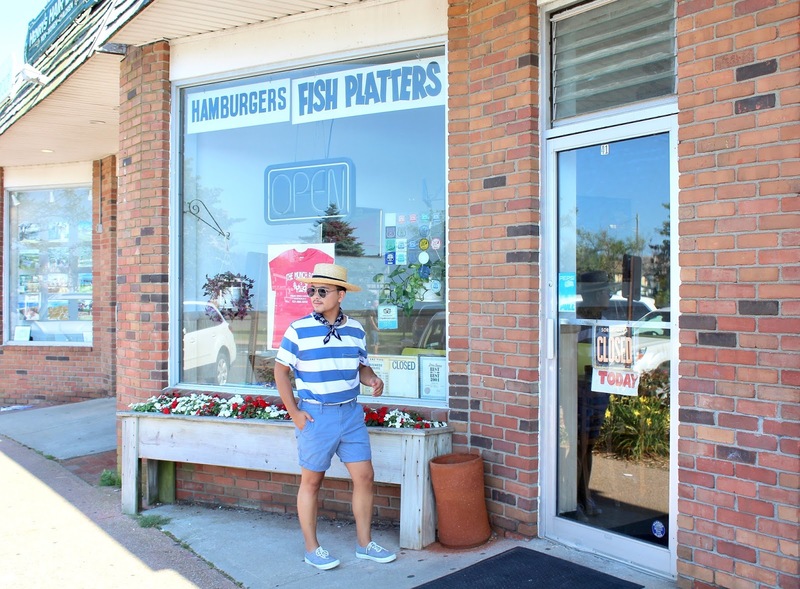 The Hamptons is amazing, but you can't be visiting the end of Long Island without making a stop in Montauk. Montauk, NY is technically the last town located at the south end of Long Island, not only is a historical location, but also a great location to relax, enjoy great food, and getting a good tan by the beach. 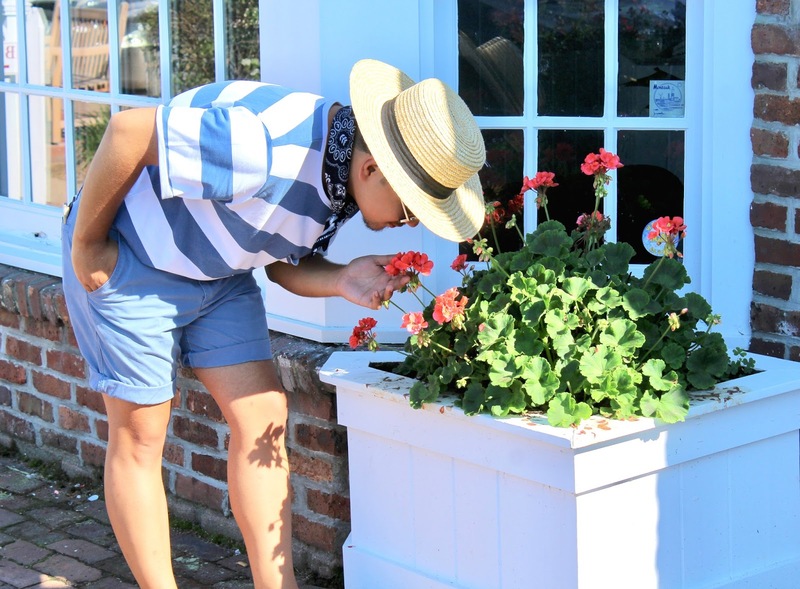 Unfortunately, summer seasons is coming to an end, but we were lucky enough to enjoy it as much as I could by visiting some of my favorite summer locations and visiting some new ones. 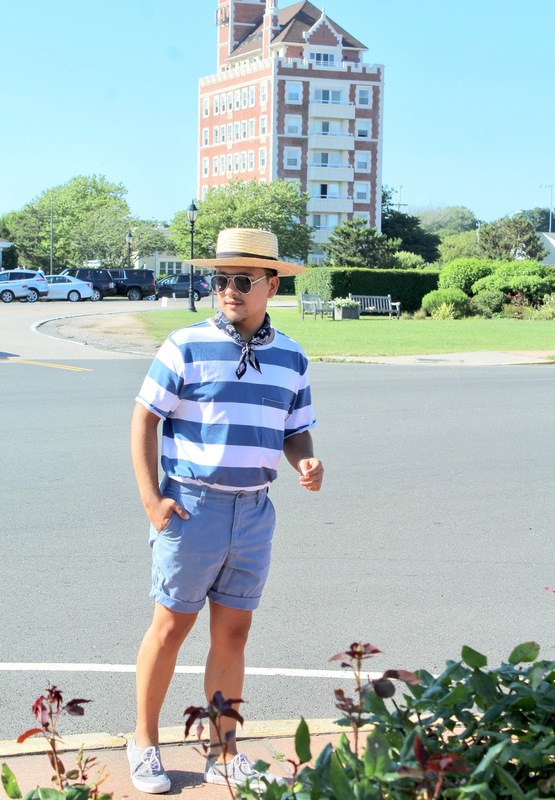 For this outfit look editorial, I headed out to the last town of Long Island, better known as Montauk. 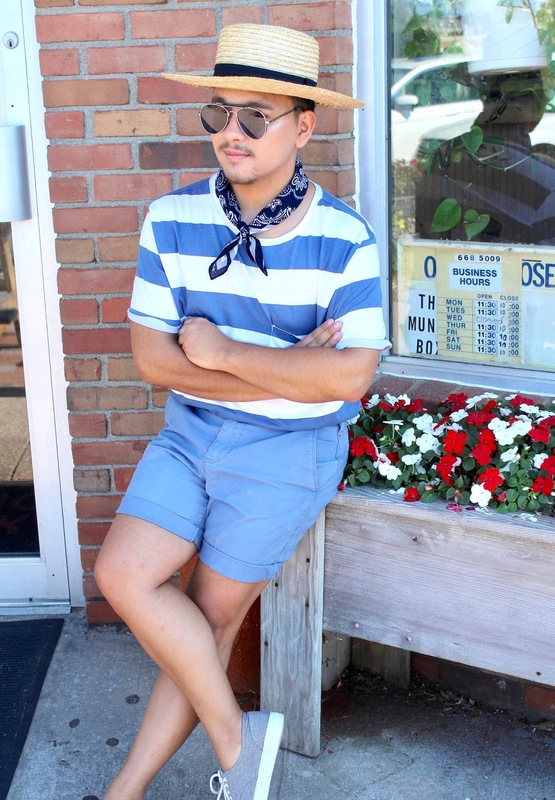 For this look, I decided to summer it up by wearing this brand new striped t-shirt from H&M. 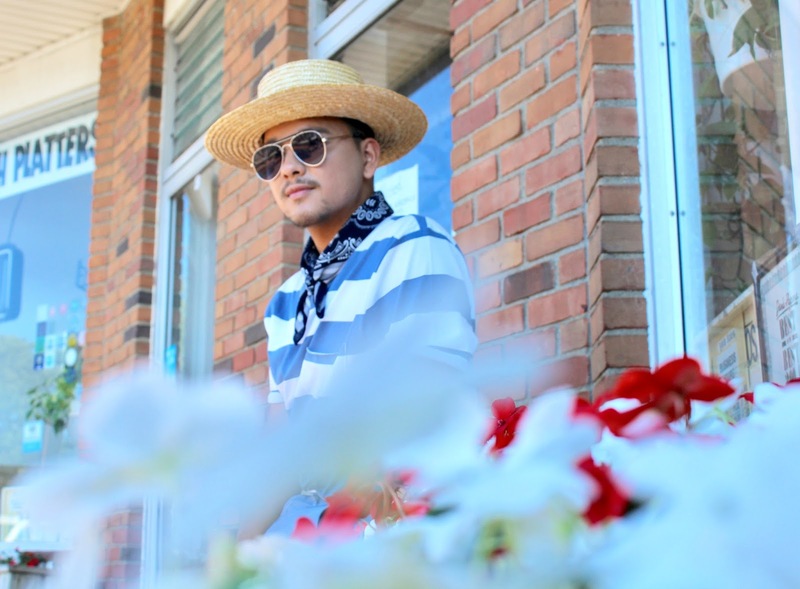 I felt in love with the simple big and wide white and light blue stripes of it, which made it perfect to be wore during a very summery and sunny day. 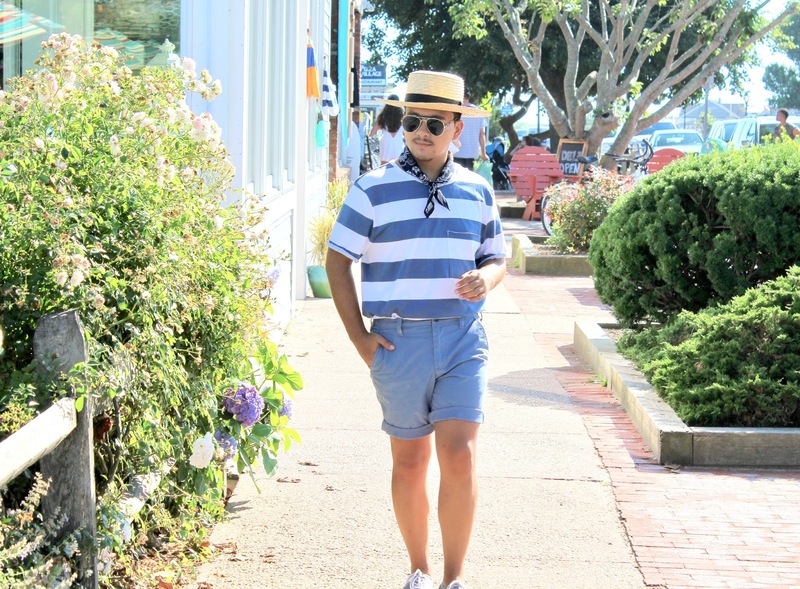 To match, I wore a pair of light blue shorts from Gap. To balance out the colors, I wore one of my current favorite light grey sneakers. 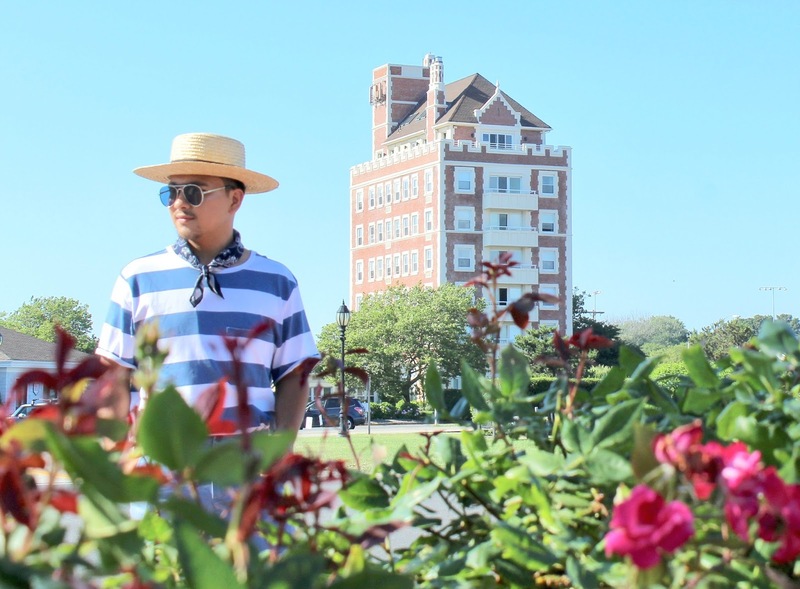 For some reason, I have been using this beach round yellow hat to make a great impression with each of my outfit looks, so don't be surprise I wore it once again to cover my face from the last couple of strong and bright sunshine. Giving me that extra help from the sun, I also wore these pair of blue sunglasses from Aldo Shoes. Not sure why, but I was getting some plain vibes from this look, so I added what I called, the summer touch. 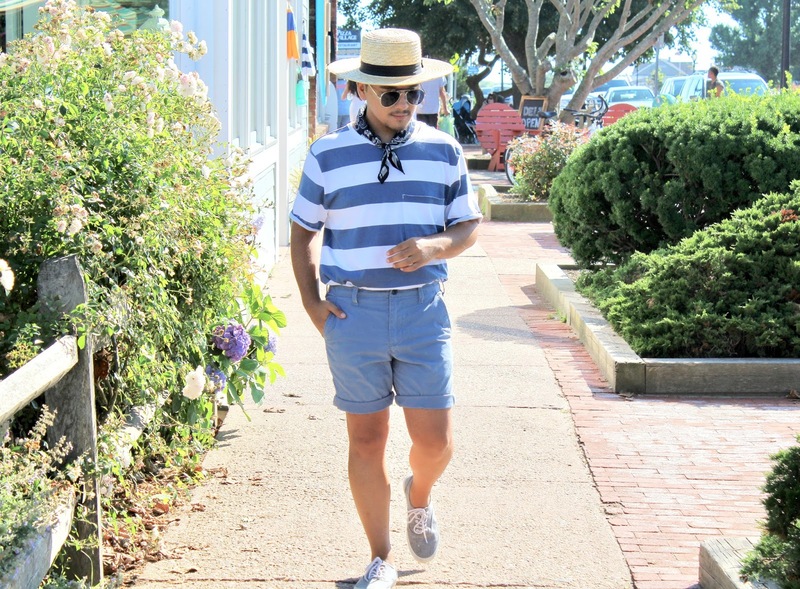 A bandana rolled up around my neck put this look all together and perfect to discover the town of Montauk, NY. Hope everyone had a great summer like I did, and that's all for today. 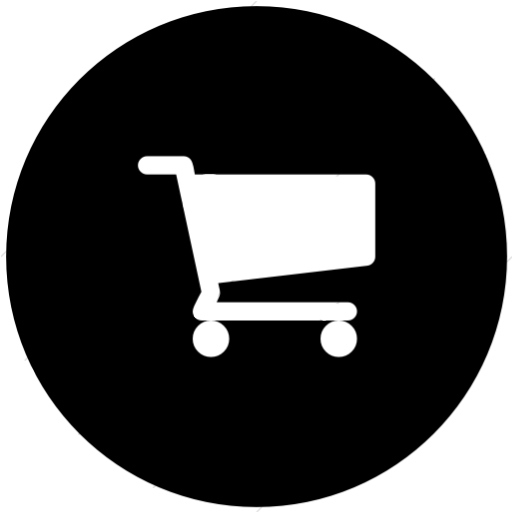 I will see you all in my next post!